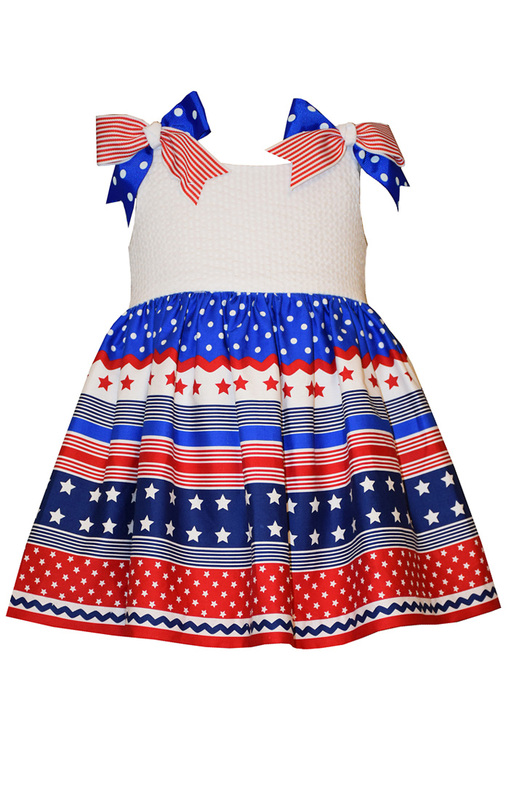 This sundress is perfectly patriotic for all your summer holiday needs! White top with white accented with patriotic bows. High waist skirt of dress is a red, white and blue mixture of prints, dots and stripes.